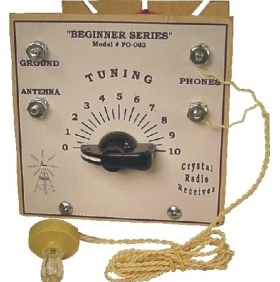 Peebles Originals ~ Crystal Radio Kits, Tube Radio Kits and more! 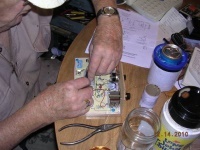 New from Peebles Originals – an audio amplifier kit for your radio project! 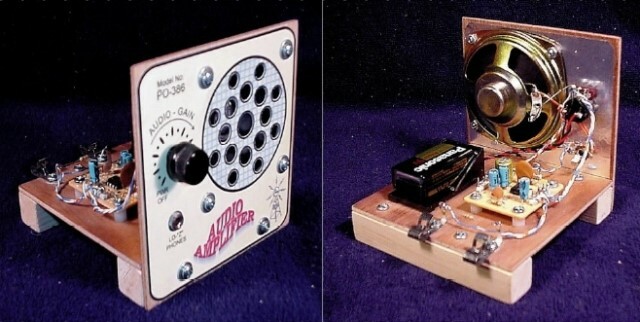 If you don't like using headphones, or need that audio boost from your crystal set or tube radio, the PO-386 audio amplifier kit is for you. 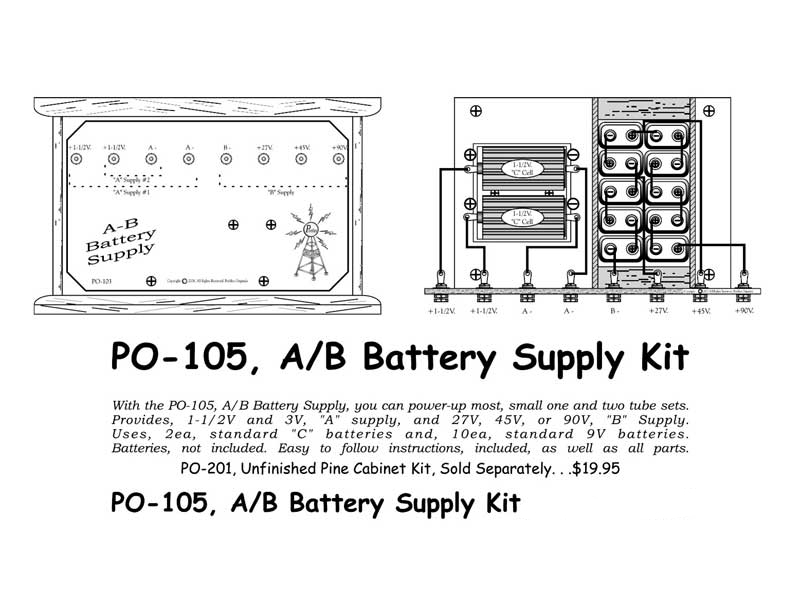 The Peebles Originals Audio Amplifier Kit comes with all parts, instructions, and artwork. 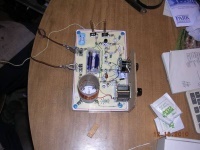 The amplifier you build looks great and will play well with your other projects. Your amplifier can be used with all various outputs of crystal, tube, or transistor sets. The PO-386 is based on the 8-pin integrated circuit: LM-386. Unit has lots of clear volume with a 3” speaker. There is a 3-½ mm jack to plug in a low impedance earpiece. The PO-386 is powered by a standard 9 volt transistor radio battery (not included). 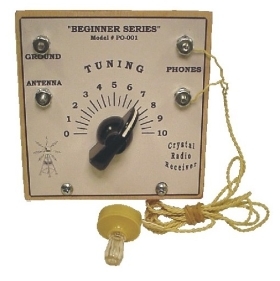 Amplifier kit comes with a Perf-Board that you mount the small circuit components. A holder allows for battery placement without it flopping around. The audio gain control has a built in power switch. A front panel mounted earphone jack and speaker round out this amplifier. We didn't forget to include the hardware and wire either. No soldering required, featuring that "handmade look" with genuine, pre-drilled wood base and front panel. 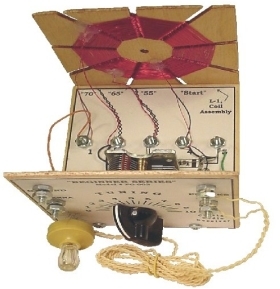 This radio kit is perfect for parents, grandparents and teachers to build with kids! It is also a super starter kit for the beginning adult builder. Coils that require no winding, wire, variable tuning capacitor, other necessary components, and diode. Easy parts layout guide provided for kids. Excellent performance for such a simple but, elegant classic receiver design. 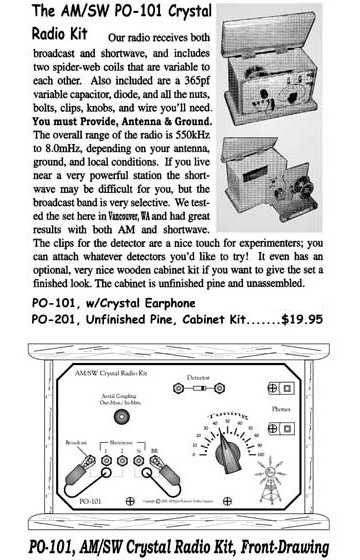 A nice addition for the advancing experimenter would be the the "Radios That Work for Free" book. 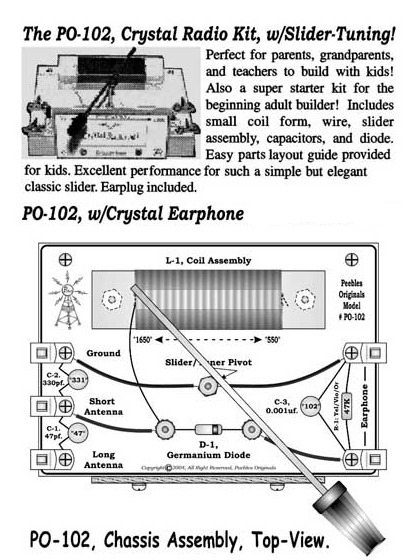 This radio kit, being the next step-up-kit, is perfect for parents, grandparents, and teachers to build with kids. It is also a super starter kit for the beginning adult builder. All parts included are coil form, wire, variable tuning capacitor, other necessary components and diode. Excellent performance for such a simple kit, but elegant classic receiver design. 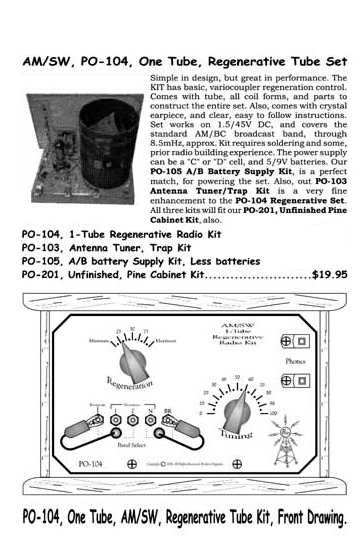 A nice addition for the advancing experimenter would be the the "Radios That Work for Free" book. 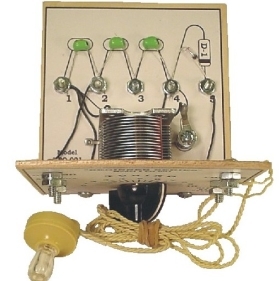 This radio kit, with classic spider-web coil, is perfect for parents, grandparents, and teachers to build with kids. It is also a super starter kit for the beginning adult builder. All parts included are coil form, wire, variable tuning capacitor, other necessary components and diode. Easy parts layout guide provided for kids. Excellent performance from this unique and classic spider-web , high="Q" coil design. This kit tunes the AM/BC band, and is a real classic in the typical design of the era of 1956. I picked this year as it was the beginning of my radio building interests at the age of 10, and just could-not wait until I could build a set with this, newly-innovated, "space-age" design. . .The Transistor! Kit comes with all parts, instructions, and artwork to make this set look, act and feel, just like the "amazing transistor" did in the year: 1956. This kit is a newly modified, "third generation", of the original article that appeared in a newsletter article, I wrote, several years ago. This one is far the best in performance, looks and ease of assembly. "Third times a charm"! 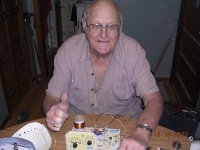 The transistor that is included in this kit, being Germanium, is a much-improved unit, over what was available in 1956. In fact this transistor, is some of the later generations of the Germanium transistor, before being replaced with Silicon units. . . I still like the germanium types, and seldom build sets, using Silicon transistors. I love the '50s feel, and looks! The set is basically a high-performance crystal radio detector, with one stage of transistor amplification, with volume control. It comes a few optional parts, with instructions that enable to get maximum sensitivity, and selectivity with your particular antenna/ground situation. Also included, is an earpiece, but set will match most headsets of higher impedances, and will drive a small amplifier, very ideally. This set has a looks and feel of the set my dad bought for me, on my birthday. . .around 1956/57. Hope you have as much fun with this set as I certainly did, designing and building this replica and my original, as a kid. "So simple, even an '88' year old can build it!" This is a basic kit, that can be used indoors or outdoors. 50'-Antenna wire, w/insulators on each-end, and tie-offs. 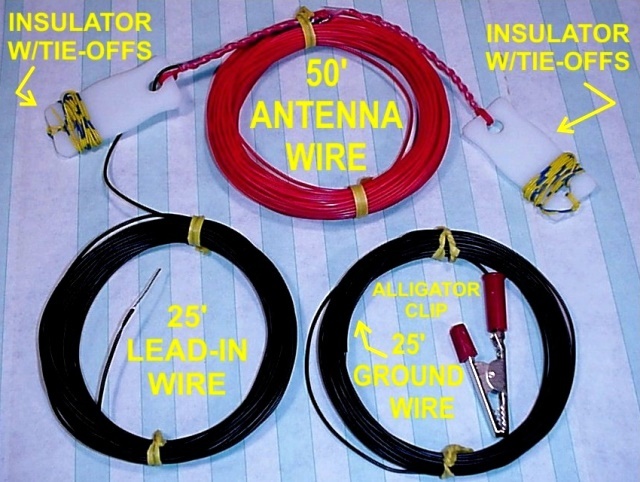 25'-Lead-in wire, and 25'-Ground wire, w/alligator clip, for easy attachment to an "Earth-Ground" source. Comes with easy to follow instructions, and illustrations for ideas of indoor or outdoor use, plus ideas of installing more advanced set-ups, as you progress. Our radio receives both broadcast and short wave and includes two spider-web coils that are variable to each other. 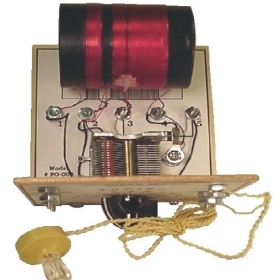 Includes small coil form, wire slider assembly and diode. Easy parts layout guide provided for kids. 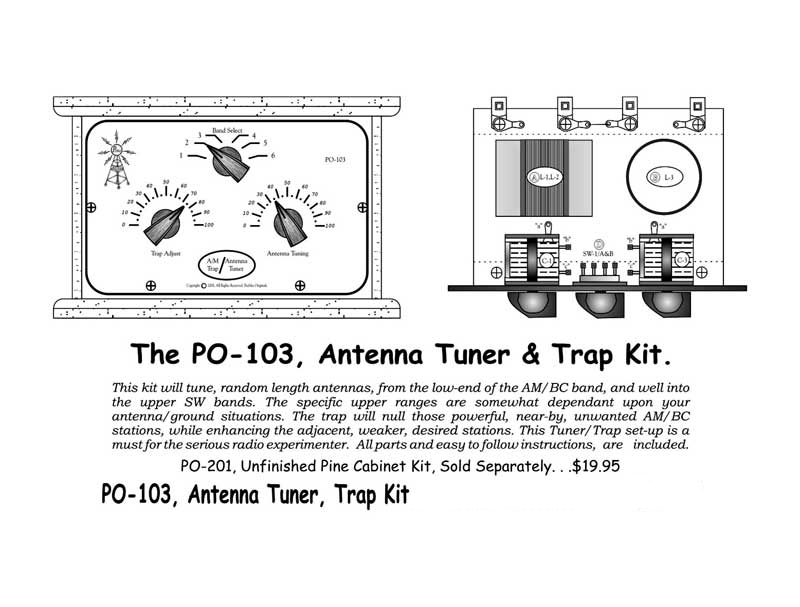 This kit will tune, random length antennas, from the low end of the AM/BC band, and well into the upper short wave bands. Simple in design, but great in performance. 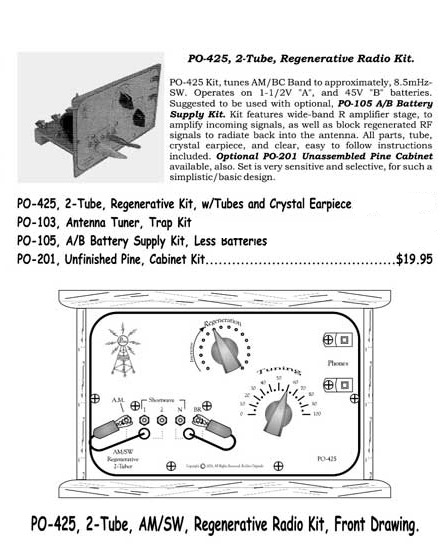 The kit has basic, variocoupler regeneration control. Kit tunes AM/BC band to approximately 8.5 MHz short wave. 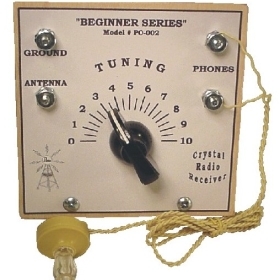 Kit features a wide band rf amplifier stage. With this kit, you can power-up most, small one and two tube sets. 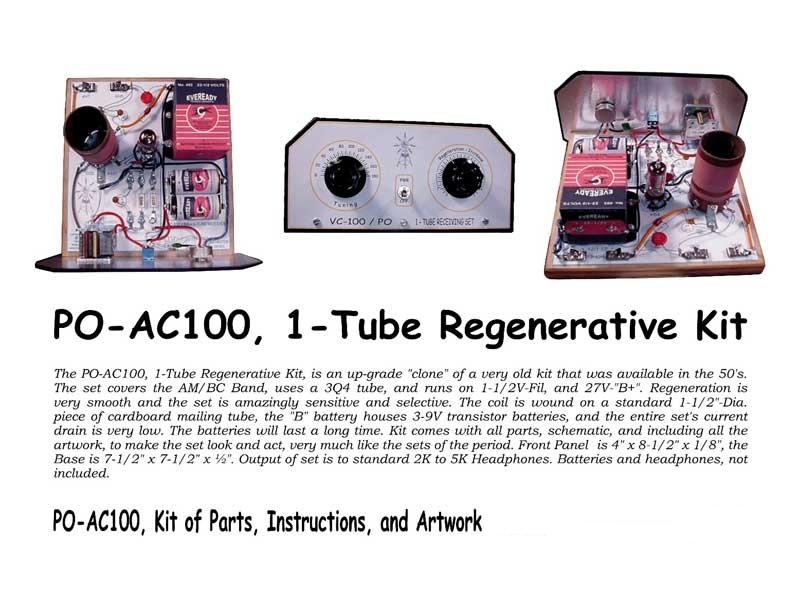 The 1-Tube Regenerative Kit is an up-grade "clone" of a very old kit that was available in the 50's.